What is your assessment of the furniture sector? What are the general trends that you are seeing here in 2018? Ghana has changed quite a lot in the last 10 years. When we started Casa Trasacco and we decided to open this kind of showroom, people were shocked. They said the country was not ready, that these things were good for Europe or America, but not for Africa. However, I was convinced that in a country where you have million-dollar houses, you can also have quality and good furniture. That does not mean expensive. The perception here is that if you want quality things, they must be expensive by default. It is not like that, especially in furniture now because technology has made a big jump ahead. Now, you can afford quality goods at a very cheap price. Are there many companies that provide furniture? How is the competitive environment? The competitive environment in Ghana now is very busy. Now, a lot of companies are coming into Ghana from all over the world. We have a company from Brazil, from many places in Europe, from Turkey, and especially from China. So, in Ghana you can actually have any kind of furniture from good quality to low quality. It is not the product itself, what is important is the service that you can provide for them. Another important area you are active in is the hospitality sector. 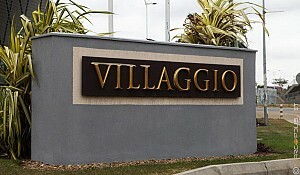 Does Accra really need more hotels? In the hospitality sector at the moment, we have one hotel. 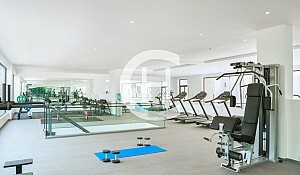 We have two corporate agreements, one with the Accor Group and the other with Hilton. Currently, we are building two Hiltons, one in Airport which is Hilton Hotel Airport, and the other one is a proper Hilton resort in Ada called Hilton Turtle Bay. 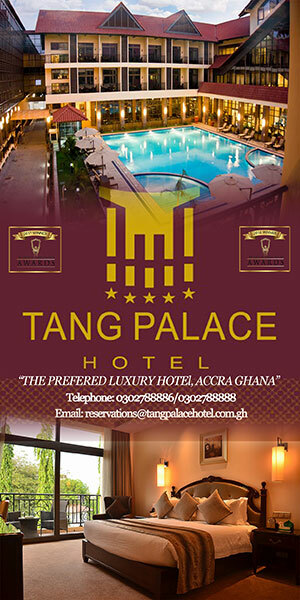 The economy is growing in Ghana, so there is the need for more hospitality places in Ghana. If you come to Ghana now, hotels are always fully booked. There are still a lot of jobs and work to be done before people are satisfied with the hospitality sector here. Of course, the more hotels you build, the more furniture you need, the more quality things you need, mattresses, and everything else. What different sectors do you participate in? We want to find the right balance between quality, service and price. You cannot focus just on one of these things because otherwise, you do not succeed. Because of our name and our brand, we cannot disappoint our customers. Trasacco Group was born in Ghana in 1968. My grandfather was the founder. He came here to Ghana looking for gold, but he never found any. So, he started in the wood business. And then, the first organized venture for us turned into furniture. After that, he realized that Ghana was a developing country so it needed everything and we started in construction. Sadly, my grandfather passed away very young in 1970. After that, my uncle, who is the actual chairman, is the one that made the company grow into a proper group of companies. He wears the suit so he thinks that if you want to have such a store in Ghana, you must be independent. Construction is our core business and he created a lot of subsidiary companies that can support construction. We started with the stone, the iron, aluminum, and then went into furniture. 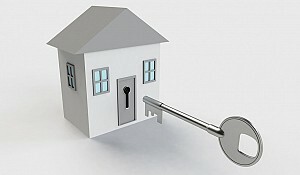 Everything is working towards the real estate business that we are famous for. 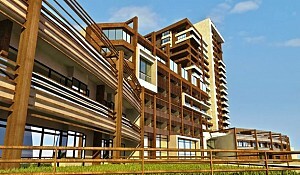 Trasacco is known in Ghana for luxury real estate and everything related to that sector. Additionally, we are always looking to scout any new opportunities. In the last five years, we have made a huge investment in agriculture. We have the biggest pineapple farm in Ghana currently. The Ghanaian pineapple that you can find in Europe comes from our farm. Now, we have started to invest in tourism and hospitality is related to that. Our key is that even though we are originally from Italy, we feel that we are Ghanaian. We are always proud to be Ghanaian and to contribute to the growth of this country. That for us is everything. We love Ghana and we always try to do what is best for the country. What are your key competitive advantages in the furniture sector? How do you distinguish yourself? We want to find the right balance between quality, service and price. You cannot focus just on one of these things because otherwise, you do not succeed. Because of our name and our brand, we cannot disappoint our customers. For us, it is key to find quality products that are the right product for the environment and the customers and that we can offer at the lowest price possible and give the best service in terms of after sales. So, if you buy something from us, it means that it is forever, not just for a couple of seasons. We give value to the money of our customers. What is the international outreach of the company? Are you purely focused on Ghana or do you also have other international perspectives? We have other branches in Italy: in Rome, in Florence and in Milan, and now we are scouting other opportunities even in the United States. The main thing for us is to show that in Ghana we have a quality system, a quality chain of business process, and operating as a Ghanaian company abroad and bringing the Ghanaian flag even in this field where people do not expect us. What do you bring to Italy from Ghana? We have some locally made products that we export in Italy with the certification recognized worldwide. We have a furniture factory here where we make tables, chairs, and some furniture accessories. These are very well appreciated by the European public. That is the next challenge that Ghana has to face. At the moment, Ghana imports 90% of its needs, and even now, the government is giving a lot of incentive for people to come and start production in Ghana. That is what will make the country bigger and bigger. The moment that you produce your needs in the country, everything becomes faster. Currently, whatever you need, you must import. Production time, shipping, freight, all these things take two to three months. If you can make it locally, everything will be much faster. Next, what we are focusing on is attracting investors. This is even part of my personal commitment with the government because I am the Consul of Ghana to Italy. It is also one of my main tasks to promote my country, Ghana, in Italy and attract possible investors to come to Ghana and set up production here. Ghana is a beautiful country for that. It is a safe country. We have a system that works very well. We have laws. What Ghana needs at the moment is some expert knowhow, someone willing to come invest. Whatever is invested in Ghana is a safe investment. People can come and make very good business here. Where are your factories based? Are they in a free zone or a normal area? At the moment, they are in a normal area, but of course, Ghana offers the possibility of a free zone license. We have a free zone factory for food processing currently. Ghana is a source of opportunity. People need to take the opportunity and carry on and succeed. What current projects do you want to develop? As a group, now, we are building two Hilton hotels, one in Airport and the other in Ada. So, we are focusing on that. Because there is a lot of international corporate presence coming here like banks, institutions, and oil companies, all of them need a proper office and proper building. We are focusing more on providing such a service for these international corporates. They need efficient offices, organized with safe furniture, that kind of environment. Project yourself two to three years’ time to the medium term. What would you like to have achieved? What is your vision for Casa Trasacco? The dream is to make a full, proper industrial production in Ghana and to make products for Ghana where people are proud to have a product made in Ghana with the same quality of products made in Europe, of course with a more affordable price. All the costs involved in the shipping and freight and all the other related costs affect the final price that the public has to pay. So, we are really focusing on making that industry in Ghana locally made but with an international standard quality level. Are you looking for partners with knowhow for this? Which areas are you looking at? 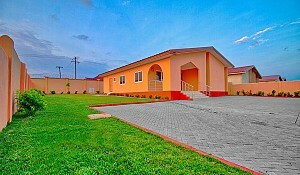 Because the country is developing, you have new buildings and the next goal for Ghana would be the social housing. If you follow the system in Europe, when they were developing, the main thing for them was housing. The people start to have proper houses, then when you have proper housing you start to achieve a kind of lifestyle, then you also have a television there and want to expand a bit more and start to want more. The people start to become the low and medium level entrepreneurs. That is what Ghana is focusing on. We want to build a new generation of young entrepreneurs that can contribute to making Ghana bigger and bigger. For example, we already have a factory where we build prestress concrete material that helps to build houses quickly. But we are focusing now on the furniture material, meaning laminated material that is the base for any kind of furniture for the home. In West Africa, there are no factories that make laminated panels. Everything is imported and then resold. It is a main thing for any developing country to have such a kind of production in the country. From there, you have the structure to make the furniture, the building material, chairs, sofas, everything comes from there. Of course, for such production, you need the proper knowhow, machinery, and the industrialization of the country. That is what we would like to make happen.